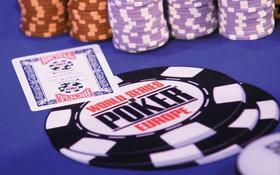 At the end of play on Day 2 of the 2011 World Series of Poker Europe Main Event the field had been pared down to just 116 players, from the original starting number of 593, and poker fans will find a number of recognizable names amongst the chip leaders. In the Top 10 alone you’ll find the names of Hoyt Corkins, Triple Crown Winner Jake Cody, the all-time tournament money winner Erik Seidel, and Shawn Buchanan who narrowly missed winning a bracelet a few days back and could jump into the WSOP Player of the Year lead with a 1st or 2nd place finish according to Bluff Magazine. The chip-leader is also quite infamous in poker circles; as many people will remember Constant Rijkenberg as the man who oversold himself at the EPT San Remo a few years ago, and went on to win the $1.5 million first-place prize! The 7-figure win ended up costing Constant Rijkenberg quite a bit of money (maybe someone should have told him that to PROFIT by selling over 100% you can’t make the money! ), so hopefully this time around he didn’t sell over 100% of his action. Other notables that survived Day 2 of the tournament include James Bord, Joao Barbosa, Wesley Pantling, Alexander Kostritsyn, Arnaud Mattern, James Dempsey, Liv Boeree, Patrik Antonius, Joe Cassidy, Chris Moorman, Barney Boatman, Freddy Deeb, Leo Boxell, Tony G, JC Alvarado, Victor Ramdin, Melanie Weisner, Mike Watson, Carlos Mortensen, Robert Mizrachi, Barry Greenstein, Maria Ho, John Duthie and Matt Waxman. The players will be back in action for Day 3 at noon local time, and the money bubble should burst fairly early on in the day, as only 64 of the remaining players will walk away with anything to show for their three days of play in the tournament. Of course the entire field has their eyes firmly affixed on the €1.4 million (about $1.9 million USD) that will go to the winner of the 2011 WSOPE Main Event –not to mention the prestige that goes along with winning the tourney. This entry was posted on Tuesday, October 18th, 2011 at 9:20 am and is filed under Poker News. You can follow any responses to this entry through the RSS 2.0 feed. You can leave a response, or trackback from your own site.